Although the excitement level for iPad 2, which probably should be iPad 1.5, is nowhere near the level that it was for the original iPad, the availability of the iPad 2 in stores today generated a notable news cycle. 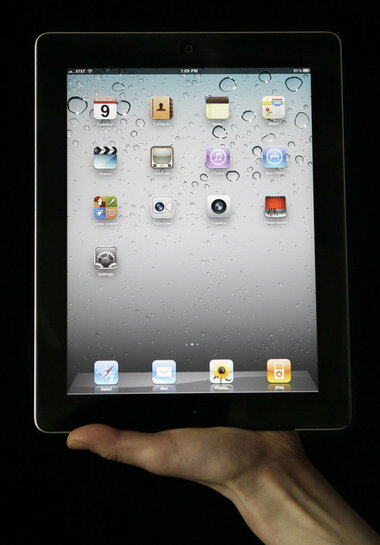 Competitors such as Motorola Mobility Holdings Inc. can’t seem to match the iPad’s starting price of $499. Tablets that are comparable to the iPad in features cost hundreds of dollars more, while cheaper tablets are inferior to the iPad in quality. I’m beyond baffled by this given that the PC and mobile phone boys have had plenty of time to simply follow Apple’s example of what a tablet should look like. Microsoft says it won’t ship a tablet until 2012 which, given MSFT’s track record of late, will be more like 2014. In the meantime, the iPad is plenty good, with Gartner expecting 65 million tablets (mostly iPads obviously) to be sold worldwide this year. They’ve even gone so far as to predict a decline of PC sales in the face of the table onslaught. As tablets reach critical mass, how will they impact the way we in PR and communications do our jobs? Unlike laptops that are too clunky and smartphones that are too small, iPads let people consume digital media in all forms – eMagazines, news, radio, social media, video, music – anytime and anyplace. Worries about battery life or connectivity are fading fast. And while the emphasis is on digital media, many argue that there will be room for more in-depth content such as books and thoughtful articles. As the success of the Kindle demonstrates, people are comfortable reading thousands of words on their tablets. What’s more , the tablet can help bring in-depth content to life with videos or slide shows and interactive demos. Overtime, the rise of tablets will lead to a much more successful and healthy news media as business models and licensing issues get sorted out. This in turn helps those of us in the PR, and will force us to become adept at the art of cranking out digital media content quickly and cost effectively. I can see the day when almost every press release includes a video element, not just the photos we provide today. Thanks to Steve Jobs, a much improved way to consume digital media is here to stay. To Microsoft, Google, Motorola, et al, come on, get your act together!